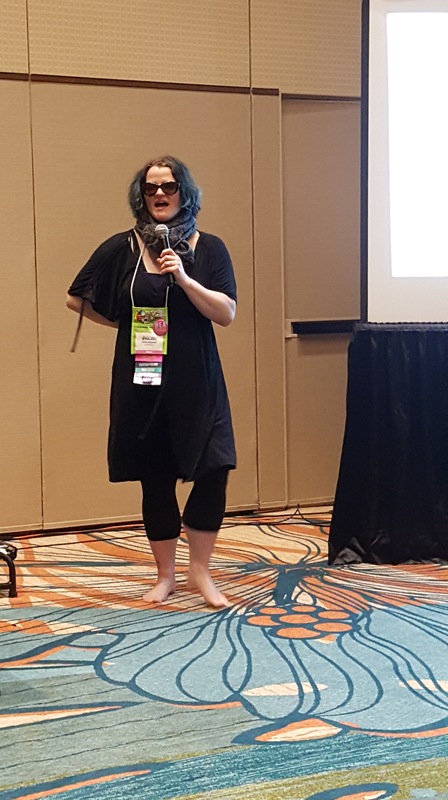 Memories from a first time RWA conference attendee. . . In 2014 I attended my very first RWA conference in San Antonio. Not knowing what to expect from the conference, I’d gone with the idea that, as a trying-to-get-published romance writer, I was going to go all in, attend every workshop on craft and publishing, listen to every professional chat, set up as many editor and agent appointments as I was allowed, and basically do everything and see everything offered. What’s that old saying: you make plans and God laughs? Yeah. Describes me perfectly. The reality was so very different from what I’d planned, that it was almost comical. First of all, there was no way I could attend every single workshop I wanted because so many of them overlapped or were at the same time as the others. I hadn’t realized I could see the full schedule on line before going, so I’d just assumed I’d be able to see what I wanted. Nope. Lesson learned? Plan ahead. Read through the online listing (now that you know it’s there!) and consider each class/workshop/chat for what it will bring to you as a writer. The conference is available on audio you can purchase, so if you miss classes, you can still hear their useful info when you get home. 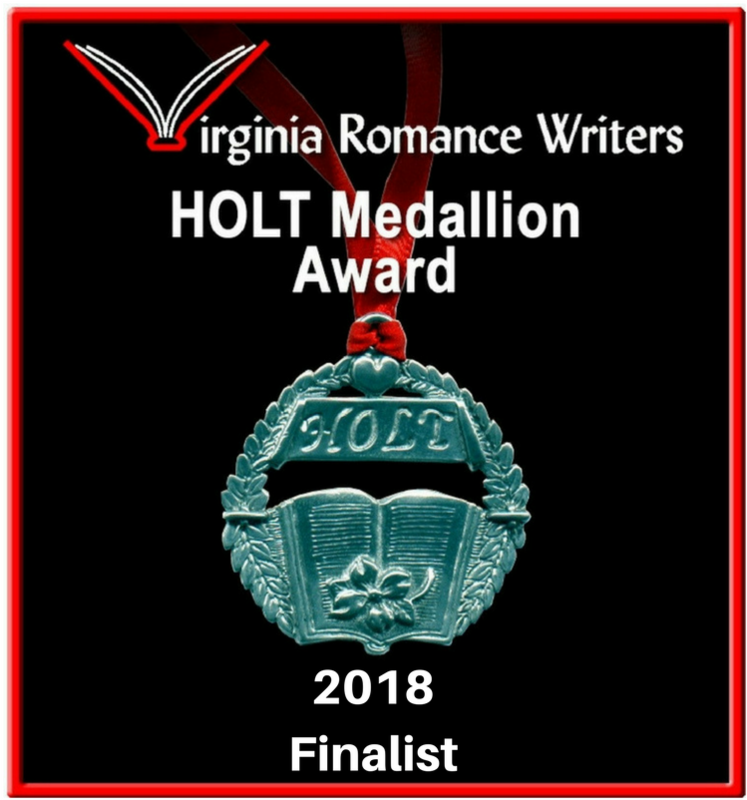 I signed up for the Agent/Editor appointments. 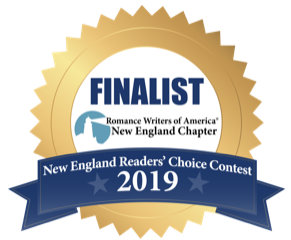 You were allowed one of each, so I scrolled through their names, saw a few big time agent names I recognized, then the publishers I knew about and made my choices. Again, God must have been chuckling big-time at my choices. Why? Because I hadn’t done any research on the people I was going to speak with. 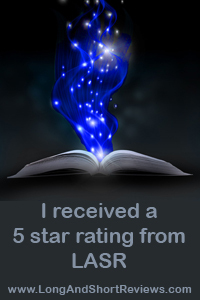 The Agent specialized in historical romance and YA. 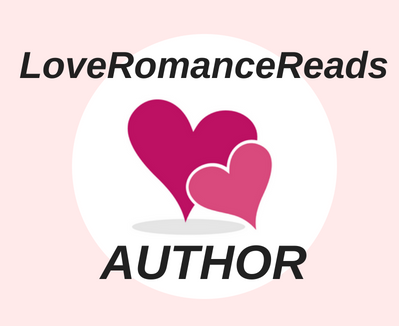 I write contemporary adult romance. The editor was from a house that was acquiring only through agents. Double flub on my part. Lesson learned? Research. Every single one of those agents and editors had a link to their websites, agencies, and publishing houses. If I’d done my due diligence and clicked on the one I wanted to meet with, I would have known before choosing them that they weren’t going to be interested in me or my work. Along with that, do not bring twenty typed copies of your manuscript to give to potential agents/editors. They don’t want to be schlepping a ton of unnecessary stuff home with them. This is the age of email and attachments. Since this was my first RWA I had no idea all the “stuff” (and by stuff I mean swag and books) you receive at the conference. Every publishing house gives out complimentary books during their spotlight events; every breakfast, lunch and dinner has a guest speaker who also leave a book or two on every chair; the Goodie room is chock full of swag, free books, and just…stuff. I brought one suitcase with me that was already stuffed with my own stuff. Now I had over 6o free books and no room. Shipping them would have cost about $100.00. Lesson learned? Bring an extra bag/suitcase. You will be happy you did. Again, since this was my first conference, I wanted to promote myself as a professional, so I brought nice clothes and outfits and shoes to go with them. Because I’m short all my shoes are 4 inches or above. If anyone has ever spent 12 hours in five inch heels you know the kind of agony I was in each and every night. Lesson learned? Dress appropriately, but comfortably. Kitten heels would have been fine! You want to make a good impression, especially on agents and editors, but you don’t need to look like you just stepped out of the pages of Vogue, or like you just crawled out of bed after a binge-drinking night at the hotel bar. Realize you are going to see and possibly meet some of your all time favorite authors. It’s okay to fan-girl. It’s not okay to stalk. I stalked Nora Roberts at my first conference. The moment I saw her across the hotel lobby I simply lost my mind. She was on her way out of the building for a cigarette break. I am ashamed to admit this, but I followed her. It was like I was in some kind of trace. I knew what I was doing was illegal in 50 states, but I had no will to stop myself. When she stopped outside and lit up, I stood in the vestibule behind the glass doors just…watching her smoke. After a minute I realized what I was doing and snapped out of. Then I spotted Jill Shalvis on the escalator going down while I was going up. I jumped off and headed back down and followed her into the hotel coffee shop. Again… I was in a trance, I swear! Lesson learned? Be prepared to meet your writing idols but don’t do anything you could get arrested for!! 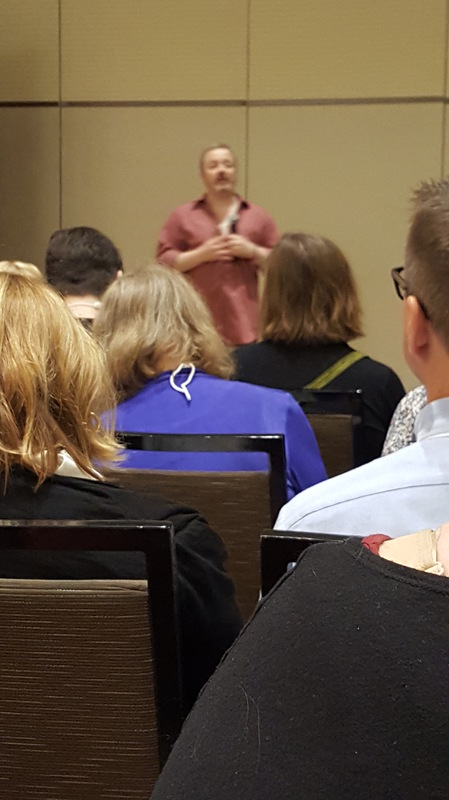 When I spotted three twenty-somethings at the Literacy signing squeal like pigs when they met Jayne Ann Krentz, it drilled that lesson home. 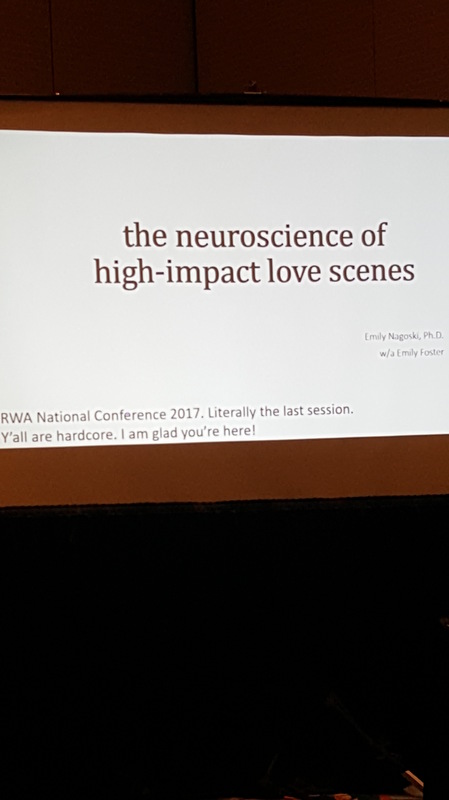 One of the best things I did at the first conference was attend the RWA First Timer’s presentation. It was filled with helpful hints about how to get the most out of the conference without feeling overwhelmed, or as if you missed something. I highly recommend setting aside the two hours of the class and fitting it into your schedule. This year the conference is in Orlando/Disney. In July. Florida in July is not a time frame for curly haired gals like me, so this year will bring its own set of problems and concerns! But I’m still going because I don’t want to miss the exciting, informative, and fun events and classes being offered. I’ll just need to pack an extra canister of hairspray. Or maybe more than just one extra. 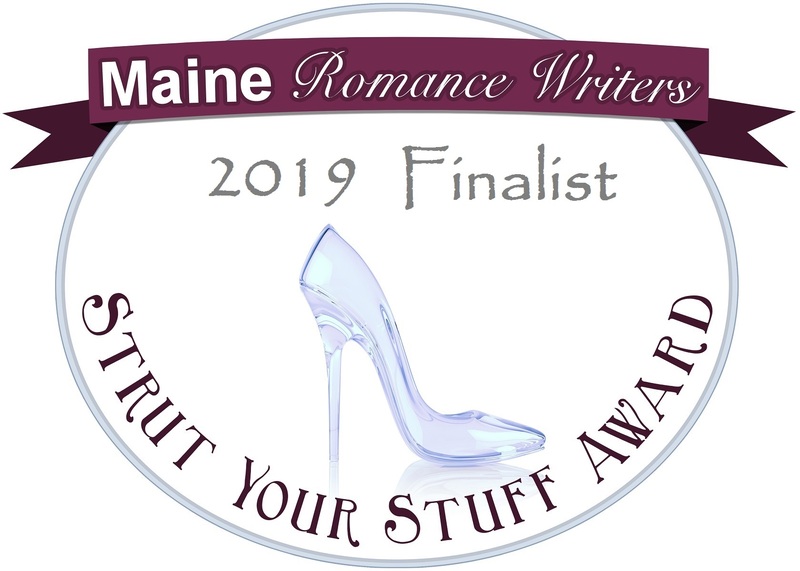 In 2017 she came in 3rd in the New England Reader’s Choice contest for A KISS UNDER THE CHRISTMAS LIGHTS and is a finalist in the 2017 STILETTO contest for the same title.